The Social Studies Lab: Top 3 iTunes U Courses For Social Studies Teachers!!! Professor Charles Anderson was (he passed away in 2013) a walking encyclopedia of western thought. His knowledge and easy to understand lectures are reflected in this course. What's even more amazing is the fact that this class was recorded in 1985, before the idea of iTunes U was even a dream. These lectures (54 in all, 45 minutes each) cover the period from ancient Mesopotamia up to the present day (well 1985 at least). 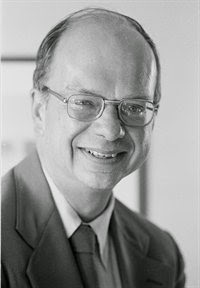 Anderson spends ample time on Plato and Aristotle, connecting modern political, economic, and social theory with the past. The next section of the course deals with Rome, followed by about 5 classes centered around the birth and rise of Christianity. Professor Anderson delivers his insightful observations on such great thinkers as Machiavelli, Martin Luther, Calvin, Bacon, Newton, Hobbes, Locke, Rousseau, Adam Smith, John Stuart Mill, Hegel, Marx, Dewey, and Keynes. It is truly astounding at the amount of knowledge this man held. I would consider myself lucky to obtain a quarter of the knowledge that this man seems to have. 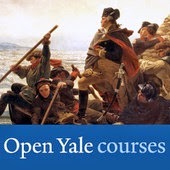 I would recommend this course for anyone teaching U.S. I, U.S. II, or any of the World History classes that focus on the west. Looking to be entertained while learning? This is the course for you. Given at Harvard's historic Sanders Theatre, the forum matches the course content. Professor Sandel does a wonderful job of engaging his students and viewers. It's obvious that Harvard pulled out all the stops with this course. They knew it would be filmed and they were extremely prepared. But enough about the bells and whistles, social studies teachers want the meat of the lecture, which is to say, the knowledge gained. Sandel most definitely delivers in this respect. The course was built around one premise; What is Justice? Professor Sandel doesn't simply tell his students what Justice is, he challenges them to come to their own conclusions. This is truly course could have been taught 2500 years ago by Socrates himself. Each class revolves around a hypothetical situation (ie. what would you do if you knew you could save 5 people by killing 1?). Through discussion of this challenge, Sandel utilizes his vast knowledge of various philosophical theories. You might be thinking to yourself, How will a philosophy class help me teach my U.S. II class. Well the genius of Sandel is that he can take nearly any hypothetical or real (ie. the lecture on affirmative action from the perspective of famous American philosopher John Rawls) situation and create a lesson out of it. Who else could maintain what is essentially a mixed survey/lecture course in a class of over 1,000 students? The answer is not many, and Sandel is not only one of the leading intellectuals in his field, but a truly gifted educator. Every lecture is a TED Talk with Sandel, which makes sense, because he IS a featured lecturer at TED conferences (see video below). Well, there you have it. My top 3 iTunes lectures for your viewing pleasure. If you have an iPhone or iPad, you have access to thousands of courses in the palm of your hand.